Jesse Hoves and his brother Freddie were always alike. They were both athletic, they were both cops but while Freddie was more of a bookish type Jesse was a more outgoing type. Jesse really liked girls, and girls really like him and Freddie married young, had two great kids and then one day his wife got sick and died. It was a big tragedy, they were both so young, their kids were young and Jesse could not keep seeing his brother so devastated so he suggested they both move somewhere, he kept imagining all the new adventures he was gonna have, new girls he would meet, but it was mostly for his brother’s behalf. That is how they moved to Sunset Valley. Both Jesse and Freddie easily found jobs in the understaffed Sunset Valley PD. Those days they all lived together, Jesse, Freddie and Freddie’s kids: Freddy Junior and Mya in one house. Jesse liked kids, he didn’t want any of his own, but he liked his niece and nephew. Junior was such a cool boy, they always could talk about something, he too wanted to be a cop. And Mya… Mya was always Jesse’s favorite, she was the greatest kid he knew, she was so intelligent, well beyond her years and she was fun, and understood more than any girl that small had a right too. Back then he would take her anywhere he went, he would take her to parties, or just for walks, in the Art Gallery, sometimes they would host stargazing nights and he would take Mya, he thought her the names of all the stars he knew and in a few weeks Mya would be teaching him about all the others. One day he got so drunk, so maddeningly drunk, that he missed his door and ended up on the doorstep of the Prenitss house. It was Elena who found him, a housewife who was running for City Council. She took him in and let him sleep on the couch. Her husband, old man Harald Prentiss, was not pleased, he could see him grinding his teeth as he looked at him the next morning but he thanked them and left the hell out of there. A few days later he called Elena, he wanted to thank her for all she had done for him and they went for coffee and he found out she was unhappy… Her husband did not want her to be in politics, he didn’t think she should work at all… And they talked and talked, and somehow they ended up sleeping together. This affair lasted for months before one day Harald caught them together in a hot tub at the Public Pool. She ended it then, she wanted to work on her marriage, she quit her job but the story got out, and Ebony (who was best friends with Elena then) found out and that was over too. The worst of all those relationships was that Mya learned what was going on and she got cold to him. Things between them would never be the same. But things got complicated, the way things often get, she went into premature labor and only one of their girls survived to go home. They named her Krystal and she was the second baby in the house, since Blair had delivered a healthy little boy, Dougie. Things were really bad, especially for Elena, this new tragedy, the loss of her daughter, combined with the fallout of her family who wanted nothing to do with her sent her spiraling into a deep depression. 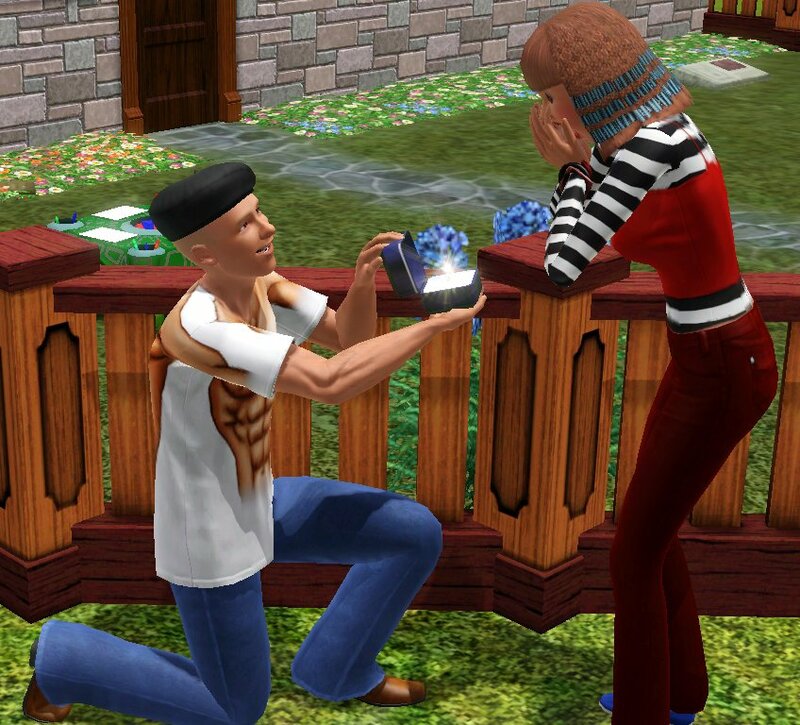 Jesse had no choice then, he asked her to marry him and she said yes. The preparations started for a big wedding that was supposed to show all of Sunset Valley that they love each other and that it was a good thing for Elena to leave Harald. Unfortunately when the big day came they both chickened out and instead let Blair and Freddie have their big day, they were together for years, and had a lovely little boy, they just never had the time to get married. Jesse and Elena moved out anyway, to a little house they bought and Jesse really felt they could have a normal life, that he could be a good father this time around but unfortunately Elena pretty soon discovered he was sleeping with his partner, Justine Keaton. They broke up, but instead of moving out, back to his brother’s, he built himself a little room above the garage because he still really wanted to be a good dad, and wanted to be close to Krystal, to be a part of her life. And so he did. To be completely honest, Elena was the one who took all the harder parts of parenting, but as Krystal grew there was less need for anything drastic, she was a good and obedient girl, a better child Jesse could never wish for. He was the one who played with her, he taught her to play chess, and to this day it is an enjoyable activity for both of them. He had a number of relationships during the years but not all of them were significant. One of the important ones was the one with a chubby bartender, Nadine Fong. After Nadine had their child, another daughter, little Laquita she dumped her on him telling him she could barely provide for herself, let alone a baby so he took her home and with the help of his ex, Elena and Krystal he managed to raise another baby. Another of his bigger relationships came after Elena passed away, he wanted to seduce a lesbian, to get his mind of things, and succeed with a fighter pilot, Jill Mayor but the downside was that she too got pregnant, which naturally destroyed her marriage to Phaena Santoro and having nowhere to go she turned on the doorstep of his overcrowded house, at that time it was him, Krystal, Laquita and Darrel, Elena’s husband. But he took her in and she gave birth to his first, and to this day, only son, Ezekiel. He let them stay there because he loves having a son, and having him around in a house filled with woman. His police career never really took off, even though he was a beloved cop around town, he even presented some awards, and once tackled and escaping criminal but he had a tendency to show up late, because he was drunk or at some woman’s house. So he stayed a patrol officer until he retired. At that point in life he finally realized he was ready for commitment and married Nadine, who stayed with him despite everything, in a little private ceremony. So she moved in with him with another daughter, he didn’t now he had, little Irene.